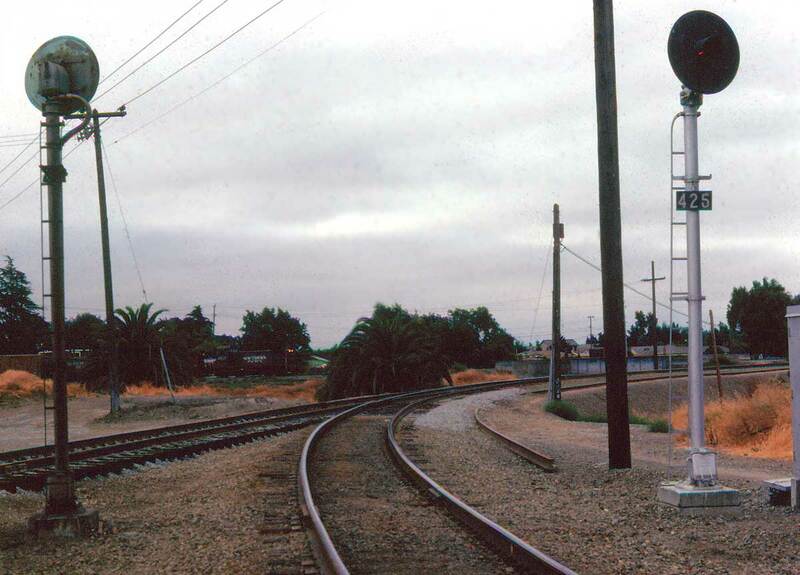 The West leg of the Southern Pacific Centerville Wye, 1983: Niles tower is behind the photographer, and the track curves towards Centerville. The East Pleasanton Turn, just barely visible between the palm trees is on the east leg, accessed by hand throw switches. San Jose - Oakland trains using the Milpitas/Centerville/Mulford route through the east leg were said to be going "round the world". The track heading to the left was a new SP/UP connection then under construction.